Nederlandse Aardolie Maatschappij B.V. (NAM) is the largest natural gas producer in The Netherlands, accounting for three quarters of the country's natural gas production. The gas treatment plants in Den Helder receive gas from NAM's offshore production platforms and carry out various processes to ensure that the gas meets the delivery requirements of Gasunie, a Dutch company that is responsible for transportation via the gas pipeline network in The Netherlands and Germany. One of these plants is a low calorific (LoCal) facility that started operating in 1984 with a Honeywell TDC 2000 system. As NAM was having a difficult time maintaining this legacy control system due to the scarcity of spare parts and the vendor's declaration of end of support (EOS), the decision was made to modernize the control system. In so doing, NAM anticipated improvements in production performance, system reliability, and maintainability. NAM awarded Yokogawa Europe the contract for this plant's control system upgrade in December 2009, and the replacement of the Honeywell TDC system with Yokogawa CENTUM VP was successfully completed in August 2010. 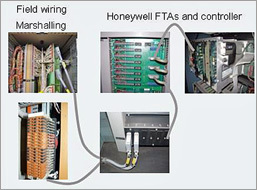 This included the very time consuming replacement of obsolete field terminal assemblies (FTA) with Yokogawa hardware. 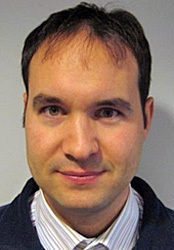 Yokogawa Europe faced a wide range of challenging tasks during project execution, which included a site survey, creation of a function design specification (FDS) from the existing TDC system database, documentation verification, and the development of interfaces with existing third-party systems. The Yokogawa Europe engineering team worked very closely with the NAM project execution team throughout the project execution period and utilized Yokogawa's global expertise in Honeywell migration to resolve all issues. These factors all contributed significantly to the success of this DCS revamp project. As NAM wished to retain all the functions running on the TDC 2000 system, Yokogawa Europe had to generate an FDS from a system database prior to making the detailed design. Yokogawa's dedicated database analysis/conversion tools and rich experience in Honeywell migration projects proved invaluable during the FDS generation phase. A database analysis tool generated a visual representation of the control loops and a logic chart. 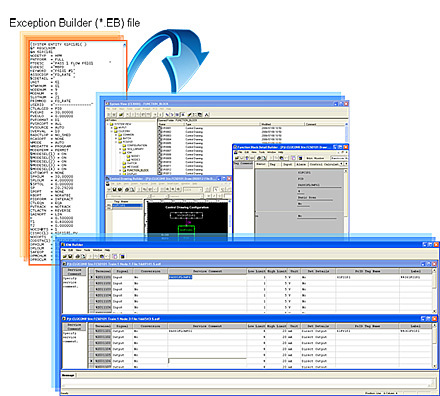 An engineering tool converted the TDC 2000 database into an Excel–format file containing tag lists that could be used to generate the CENTUM database. And a TDC graphic conversion tool facilitated visual comprehension of the information embedded in the graphics. Based on their discussions with the members of the NAM project team, and with the assistance of these tools, Yokogawa's engineering team was able to finalize the FDS for the replacement of functions, and this was approved by NAM. 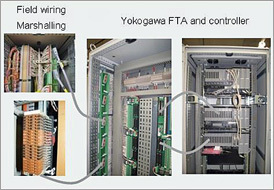 Already during the FDS generation phase, Yokogawa Europe discussed with NAM how the FAT would be executed. The major challenges were identifying how to carry out the test and what to test against as a reference. The FAT was executed by experienced operators from NAM who knew their plant very well and were able to perform extensive testing and verification. During the FAT all I/O points and sequences were tested. The OPC interfaces to the plant information (PI) system were also tested during the FAT; however, the serial interfaces to third-party equipment were not tested because the sub-systems were in operation on site and not available for in-house testing at Yokogawa. Prior to the actual shutdown of the plant, panels were brought into position and cables were pulled. 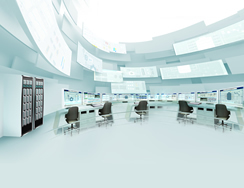 At the start of the shutdown and after the change in cabling the Yokogawa CENTUM VP system was started. The serial interfaces were first checked in close cooperation with the vendors of the third-party equipment. Secondly, all I/Os were checked from the field terminals to the CENTUM VP system; this was to ensure that all cables and connectors were attached correctly. In order to speed-up commissioning, special commissioning graphics were generated. After the I/O check individual sequences were checked with the actual field equipment connected. All the site activities were finished well ahead of schedule, allowing NAM to seamlessly start their plant on time and without any trouble. Steffen Mueller, the NAM project engineer responsible for the Den Helder EPE-P-OP, had the following to say on August 30, 2010: " Once again I can report good news. We have been back in operation for one week after the LoCal shutdown. We successfully replaced our Honeywell TDC 2000 system with a new Yokogawa CENTUM VP system. This challenging project has significantly contributed to the reliability and the integration of the Den Helder gas treatment plant's operations. I want to thank the whole project team for the motivation and competence that they have demonstrated over the past few months. Although a lot remains to be done and fine tuning activities will follow over the next weeks…the puzzle is finished! It was a pleasure working together with you!" In short, NAM expressed complete satisfaction with Yokogawa Europe's perfect completion of the DCS replacement project at Den Helder.